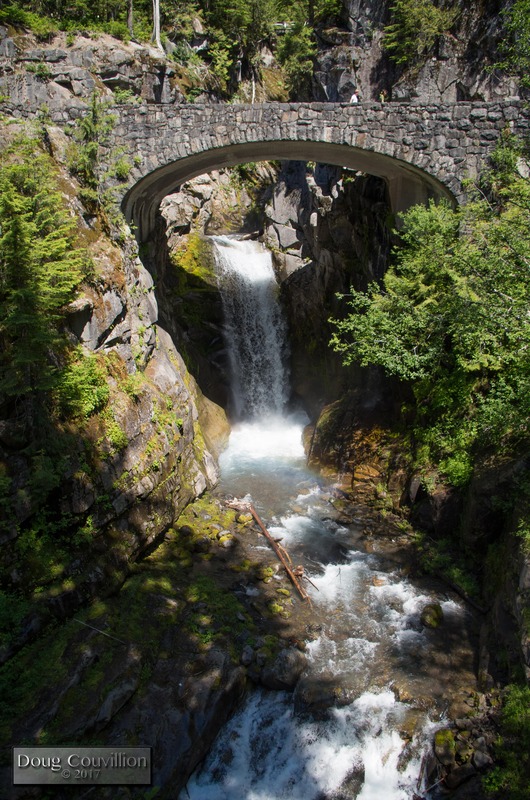 Christine Falls in Mount Rainer National Park, Washington flows right under this bridge with a nice stone facade. It’s not one of the largest falls in the park but its impressive nonetheless and it’s easily accessible from the road making it a spot within the park. This is my submission to the Weekly Photo Challenge: Bridge. I love Mount Rainier. We went there last year and we took spectacular shots of the mountain.